Like yesterday, my wife and son and I went to visit our niece, spending the summer on the coast at a marine science center, and decided to drive back to Spokane, even though we would arrive home late. We also decided to try to avoid the traffic around Seattle, and take the “scenic route” home, through the North Cascades. The result—we didn’t arrive home until about 2 AM. 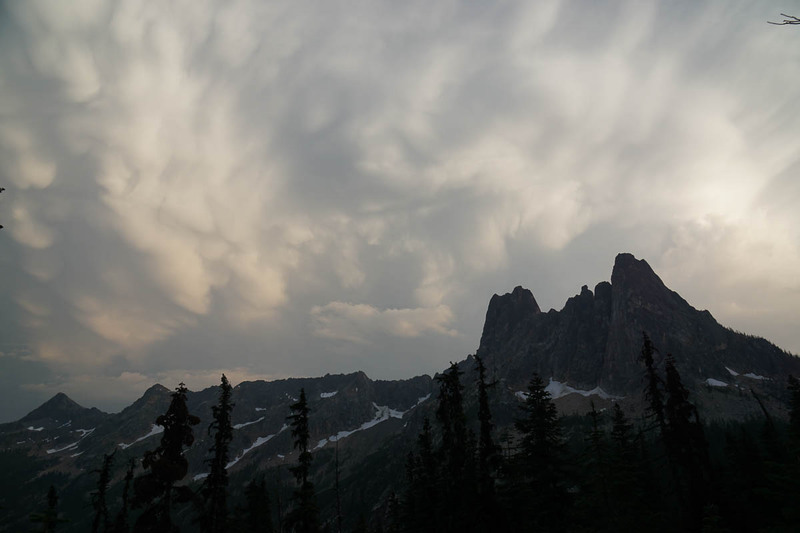 I recall driving through the north Cascades only once before—probably close to 20 years ago—and remembered only two real details from that trip—one was a tight canyon we drove through—the second a mountain with sheer cliffs and multiple peaks that we passed as darkness approached. This time, we pressed hard to make it over the mountains in the light, and arrived at the pass as the sun was setting. 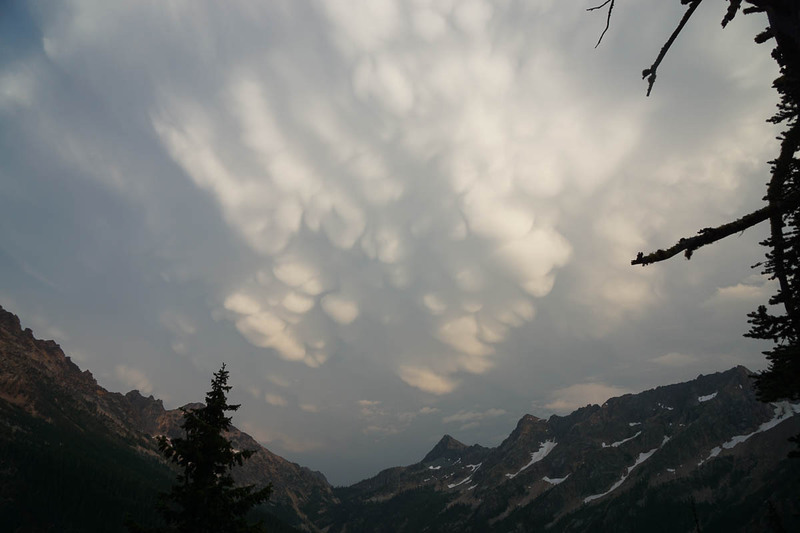 A passing thunderstorm dampened the road, with clouds swirling overhead. A sign pointed to an overlook—which I assumed to be the usual slender parking lot on the edge of the road—but this one turned out different—a modest parking area with a trail leading off into a forest—we followed the trail, and found ourselves on a rock outcropping, overlooking a majestic valley, with the clouds dancing overhead in the light of the setting sun. I do not know what god or gods control our destiny—but sometimes I do feel that some force in the universe puts me in a place and time where something magic and sacred happens—the clouds dance, the thunder rolls, the mountains stand majestic, and the light blesses it all. And all I can do is raise my camera in thanks. Great photos. Hwy 20 is on my list.